Training hard to excel in fitness tests to is a must to become a special operator within the ranks of the Special Operations Command (SOCOM). It's not atypical for selection programs to require over a year of continuous training. Additionally, each branch of service and their special operations ground units have differing criteria. 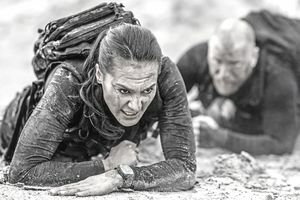 After this test, you will immediately begin other very physical events such as ruck marches, obstacle courses, a large variety of calisthenics, log PT, and running. This will continue for three weeks during SFAS and involve other tactical skills such as land navigation, problem-solving, patrolling, and teamwork. 75th Army Rangers Regiment - To become an Army Ranger at a Ranger Battalion or the 75th Ranger Regiment, you must qualify to attend Ranger Assessment and Selection Program (RASP). This is an eight-week course that prepares soldiers to become operating members of the 75th Ranger Regiment. Recommendations: Get used to rucking and load-bearing exercises. The rucking, decreased calories per day, and land navigation are a few of the challenges many students endure. Navy Sea, Air, and Land Team's (SEALs) candidates attend Basic Underwater Demolition/SEAL Training (BUD/S) in Coronado CA. To get accepted into BUD/S, the Navy Physical Screening Test (PST) must be mastered. Officers and enlisted students attend the same course; however, the officers must also attend a pre-BUD/S selection program called SEAL Officer Assessment and Selection (SOAS). Initial Training Phase: Once in the PJ and Combat Control Team (CC)T Candidate Course, you will be challenged physically for ten weeks at Lackland AFB. The first phase is known as Team Training and is eight weeks long. It consists of extensive physical training with swimming, running, weight training, calisthenics and obstacle courses. Educational training such as medical and diving terminology, CPR, weapons qualifications and dive physics are also part of the Candidate Course. After this course, the PJ and the CCT pipeline splits as one will attend the combat medic course, and the other will attend the air traffic controller course. 1500 meter surface swim — Any stroke but backstroke. The United States Marine Corps is part of the Special Operations Command and have created the Marine Corps Forces (MarSOC) Raiders after seeing the need to create high-level special operators capable of today's sensitive special operations, counter-terrorism, and foreign internal defense missions. Making it to special operations training programs requires you to specifically train for a fitness test. In this case, it is the standard USMC PFT, including pull-ups, crunches and a three-mile run. It is important that your basic program addresses this basic physical fitness test. It is fine to lift, swim, ruck, shoot guns and practice land navigation, but if you cannot ace this fitness test, you will not be granted orders to any of the advanced training programs. Acing the fitness test/building a foundation of fitness so your body can handle the actual training (Boot camp, School of Infantry (SOI), Basic Recon Course (BRC), RECON, MarSOC Selection, etc…) is the specific focus on training you must have during your pre-training/recruiting process. This process can take at least a year depending on your starting fitness level, or as little as half a year months depending on your athletic history. Regardless, you do not want to go to any training program without having reached near the maximum standards of the fitness requirements. Otherwise, the likelihood of injury, failure, and other delays are certain. You have to “train for the training." Following this entrance exam, all ranks of 0-4 and below have to excel in a 3-week central assessment and screening that is overseen by Marine Special Operations School (MSOS). It is pretty standard physical and tactical testing for Special Operations Community under US-SOCOM operational control and heavily weighed in the student's operational skills. The Special Operations Aviation Units, such as the Army Special Operations Regiment (SOAR TF160) and the Air Force Special Operations Aviation, are a major part of SOCOM and are an invaluable asset to the above Special Operations ground units. 160th SOAR(A) Green Platoon is the assessment training program you must excel in for six weeks. It is an advanced physical training program that teaches the basics of being a soldier with advanced first-aid techniques, combatives, land navigation, and weapons training.